Seyfarth Synopsis: In September 2018, the NLRB released its new proposed rule regarding the joint employer standard. 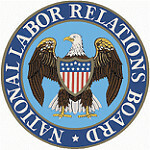 The NLRB extended the comment period twice since the release of the new proposed rule. Comments are now due on or before January 14, 2019. Seyfarth Synopsis: NLRB affirms ALJ’s ruling finding that a cocktail bar waitress was illegally fired for voicing workplace concerns during a staff meeting. Second Circuit Denies NLRB’s Attempt to Issue Bargaining Order Against Novelis Corp.
By: Ashley Laken, Esq. & Brian Stolzenbach, Esq. A Few (More) of Employers’ Favorite Things From GC 18-02: The End of Alan Ritchey And Preservation of the Levitz and Tri-Cast Doctrines? By: Bryan R. Bienias, Esq.